The School of Indigenous Studies provides a number of offerings, from pathway and diploma courses for Indigenous students, to undergraduate and Master degrees offered to both Indigenous and non-Indigenous students. Certain undergraduate units may be taken as broadening or elective units. The School of Indigenous Studies has extensive experience in offering high quality preparatory courses for Aboriginal and Islander people. 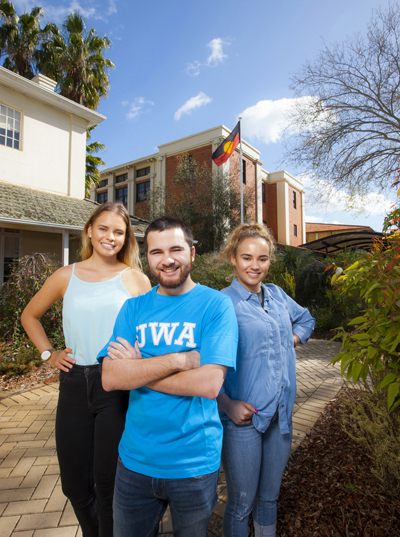 The School assists Indigenous students to gain entry to all undergraduate degrees at UWA through the Provisional Entry Scheme and also through successful completion of the Aboriginal Orientation Course. The School of Indigenous Studies also offers the preparatory UWA Smart Start course on the Albany campus. All undergraduate students are able to enrol in two majors as a part of their undergraduate degree. They can choose either the major in Indigenous Knowledge, History and Heritage,which is offered as a degree specific major in Arts, or the major In Aboriginal Health and Wellbeing, which is offered in as a degree specific major in Science. These two majors provide students with a very strong grounding in Indigenous knowledge, histories, cultures, rights, ways of working and health. Completion of the either of these majors will prepare students for a wide range of jobs as well as for further studies at postgraduate level. If your major is in another area, you can still enrol in Indigenous Knowledge, History and Heritage units. All Indigenous units are Category A broadening units and are also considered as electives. All postgraduate students are eligible to apply for the Master of Heritage Studies. The course aims to meet the training needs of all those who wish to work in a field that intersects with heritage, be this in government,the business sector, non-governmental organisations, international organisations, museums, universities, heritage agencies, national and provincial parks and more. Two areas of specialisation are offered: Indigenous Australian heritage and international heritage. The course is taught through the Faculty of Arts and the School of Indigenous Studies.